Brentwood’s promise is to deliver the finest possible student experience and prepare our graduates to thrive in an increasingly complicated world. More than ever, our world needs Brentonians who are both well-rounded and well-grounded. In response to the Edmonton Community Foundation’s generous grant from the Eldon and Anne Foote Fund, and Anne Foote’s leadership and commitment to sport and education, Brentwood is delighted to announce that this new facility will be named the Eldon and Anne Foote Athletic Centre. Aligned with Brentwood’s 2013-23 Strategic Plan – Setting the Standard, the next phase in campus development addresses our athletic facilities. 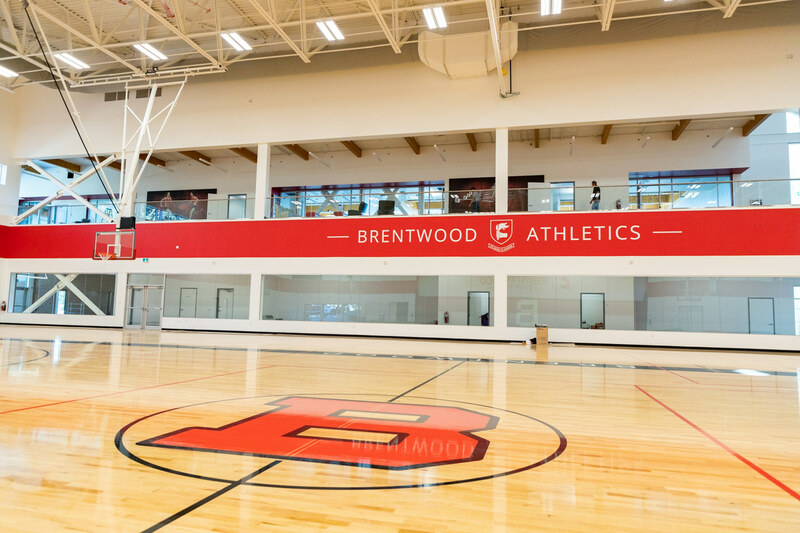 The demands of Brentwood’s sports program have now surpassed the capacity of our current sportsplex. Since 2000 the student population has increased from 400 to 537 (including Grade 8’s) which in itself puts pressure on the Woodward Sports Complex, but so too have the changing demands of our athletics program. 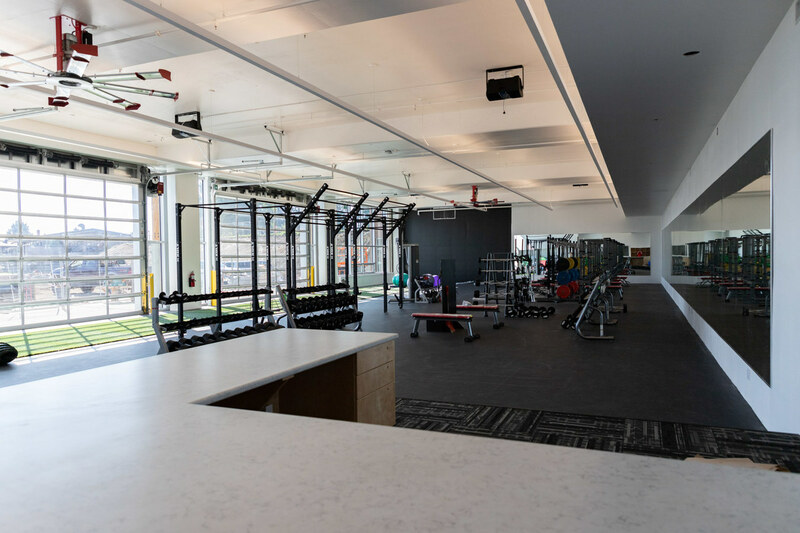 With volleyball and basketball vying for court space for practice, games and hosting tournaments, and the necessity for all competitive athletes to be on strength and conditioning programs, a comprehensive Athletic Centre is a pressing reality. 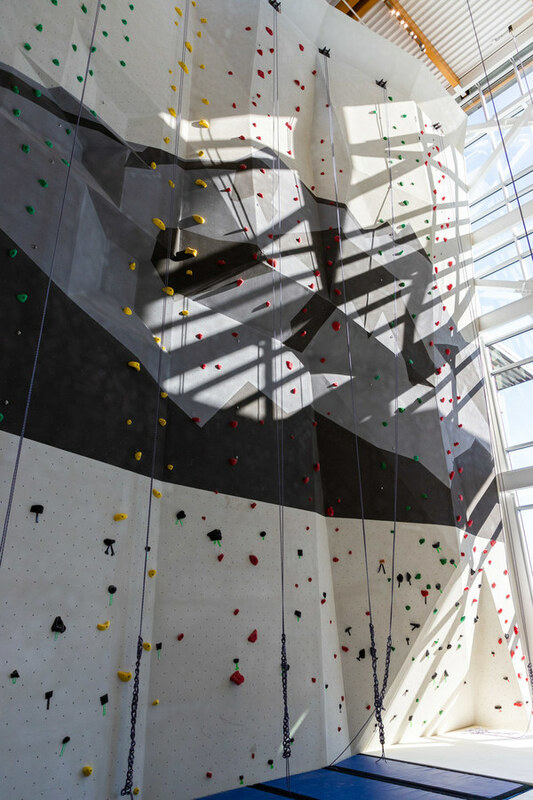 All of these programs will be housed in a brilliantly designed West Coast space that follows the aesthetic and sustainable commitment that is demonstrated across our campus. The renderings, video and photos on the right provide insight into plans for the fully-integrated Foote Athletic Centre that includes two basketball courts / four volleyball courts, as well as squash courts, a strength and conditioning centre, a cardio/spin room, a climbing wall and four multi-purpose rooms to accommodate yoga, cross-training, dance, rowing ergs and a variety of other school needs. As a school, our focus is to ensure that every student is positively impacted by their time at Brentwood. The triangulation vertices of engaged students, inspirational staff, and world-class facilities drives this transformational experience. The new Athletic Centre will be latest rendition of our tripartite symphony. 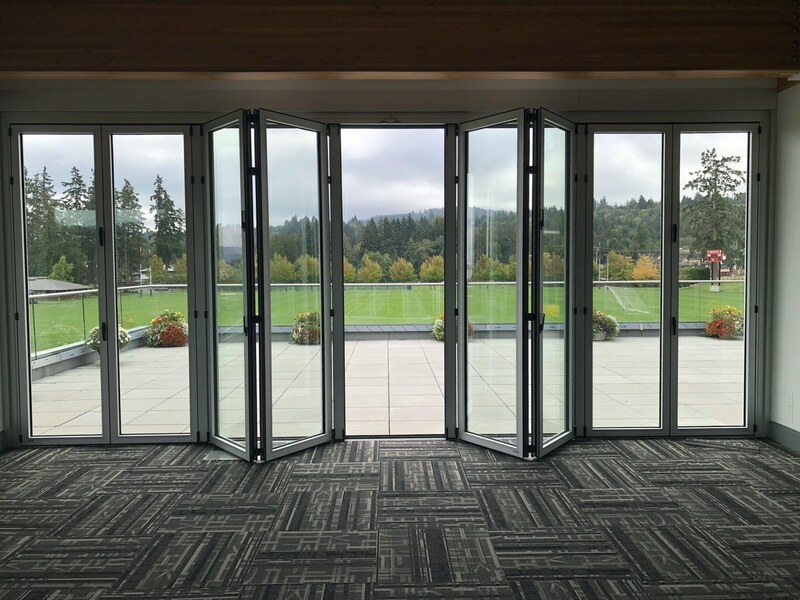 As Head of School, I am humbled and inspired by the generosity of those who have already committed to this further transformative addition to the Brentwood campus and I thank them for their leadership. At our September 29-30, 2016 Board Meeting, the Governors passed a motion to proceed to working drawings on this project, with the final decision on construction pending ongoing fundraising. At this point I am asking our full Brentwood Community to help us get over the finish line. If you would like more insight into the Athletic Centre including naming opportunities associated with this project, please contact me or Deputy Head, John Allpress. This year everyone will also have the opportunity to participate in this campaign through Annual Giving. As Head and as a Brentwood parent, I am directing my personal philanthropic support to this project and I hope you join me in supporting this vital step in our evolution. Every gift counts. Please make your online donation here. As with recent upgrades, all students will benefit from this new Athletic Centre. Competitive athletes and coaches will elevate their programs and it will provide the setting and resources to inspire every Brentwood student to foster a lifetime commitment to fitness, health, and wellness.